It doesn't get much easier than this chilling concoction. 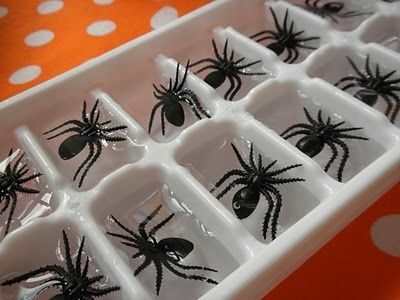 Add a few creepy crawlers into your ice cube trays to give your drinks a spooky touch. You could opt to add food coloring but I think the black & white contrast packs a solid punch to your punch. 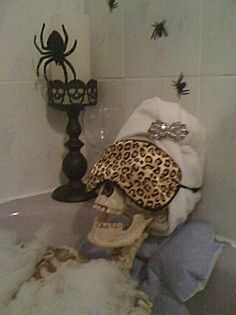 I love the idea of putting a skeleton in an unexpected place like a bathtub or vanity chair. A few glamorous accessories like costume jewelry and a leopard sleeping mask, and this skeletal lady is looking to die for. 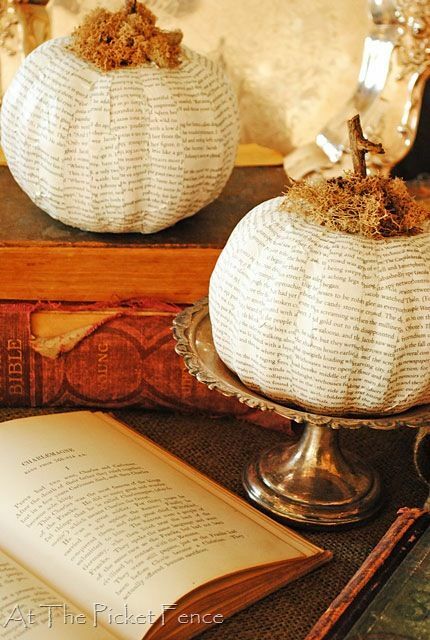 This year I was most eager to decoupage some pumpkins. I had never done it before and I'm officially hooked. 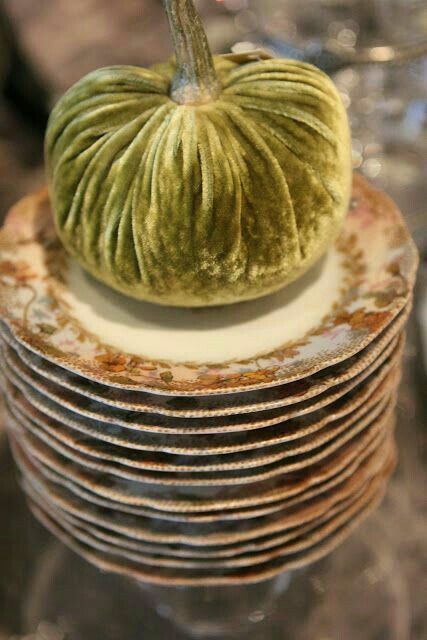 I used napkins in a print from one of my favorite brands (MacKenzie-Childs) to create my own affordable version of their iconic pumpkins. Next up, I plan to use some old thrift store copies of horror books to recreate the look pictured above. 4. 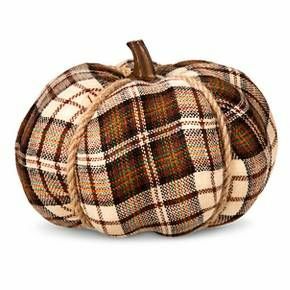 & Fabric Pumpkins, too! Pumpkin everything! 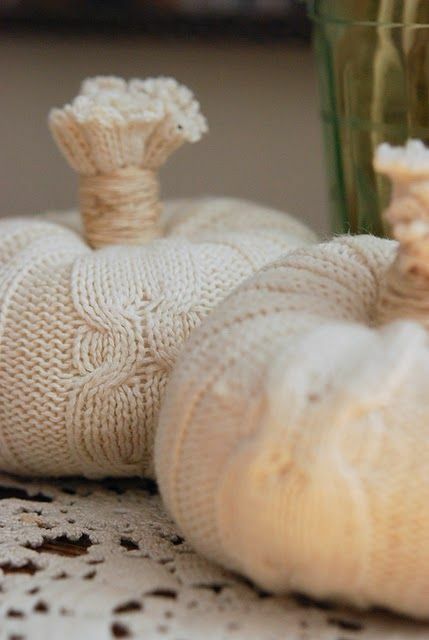 I love how cozy & cute these pumpkin are! Velvet, cable knit and flannels are some of my favorite fabrics to work with. You could use old shirts, thrift some or buy the material at the craft store. These beautiful decorations are suitable for use from September through Thanksgiving, so they're definitely worth the DIY. Understated elegance abounds in this easy DIY. 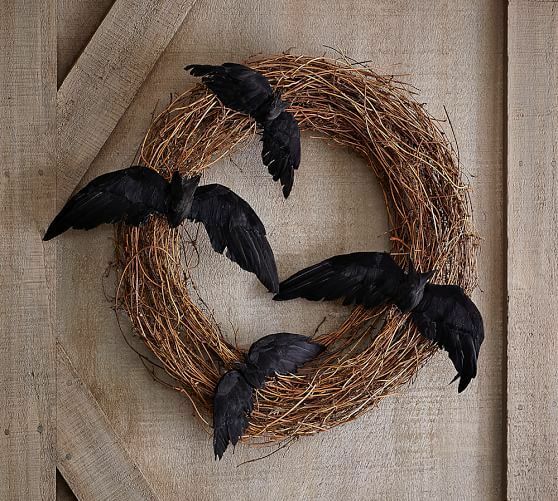 A few bats or crows attached to a simple wicker wreath and you've got yourself a spooktacular looking decoration. Tip: Add a few extra black feathers to the wings to give an enhanced look to your project. You could also attempt to build the glassware without a stem like the original but I think it would be more challenging to create a base that has stability. This is a fun one for the kids! When I was little, I loved to go on nature walks and hunt for rocks. 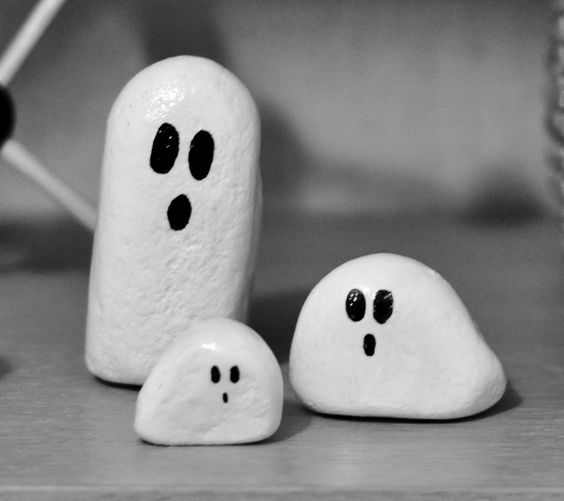 This adorable "pet rock" ghost family is too cute for words. If you have paint, sharpies or even nail polish on hand, this charming little project is practically free. 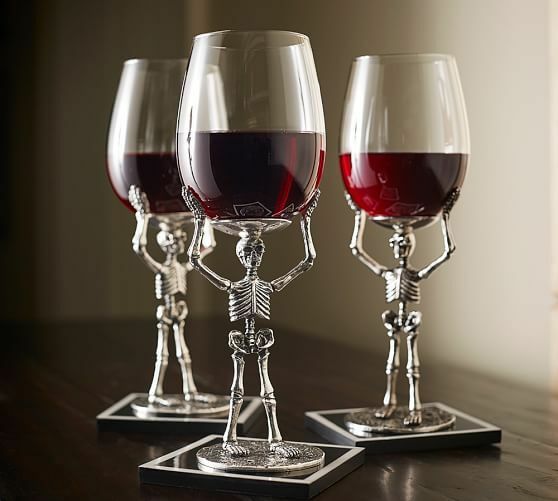 Very cute to display on your desk or bookshelf. If you weren't cursed with terrible cursive, show off your penchant for penmanship with this precious pillow! 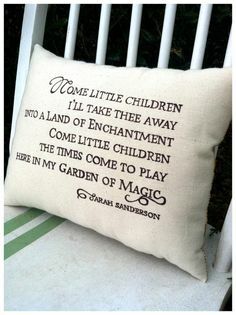 On a linen pillow, take fabric marker and use your favorite Halloween movie quote, lyric or saying. If freehand isn't your idea of a good time, you could also use a stencil or take your project to a screen printer. 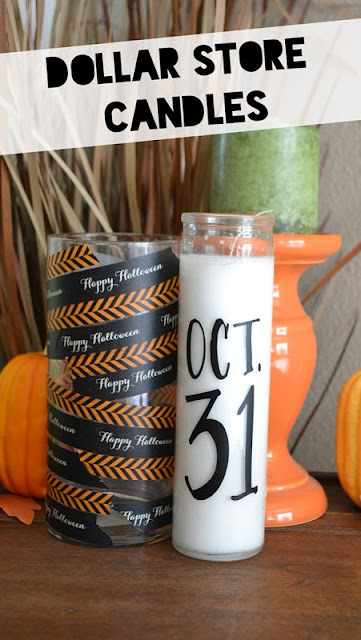 A few cheapy dollar store candles, paint and/or sharpie is all you need for these festive votives. I particularly love the Oct. 31st dated variation. If you want to take things up a notch, add washi tape or other decorative touches. The options are endless. 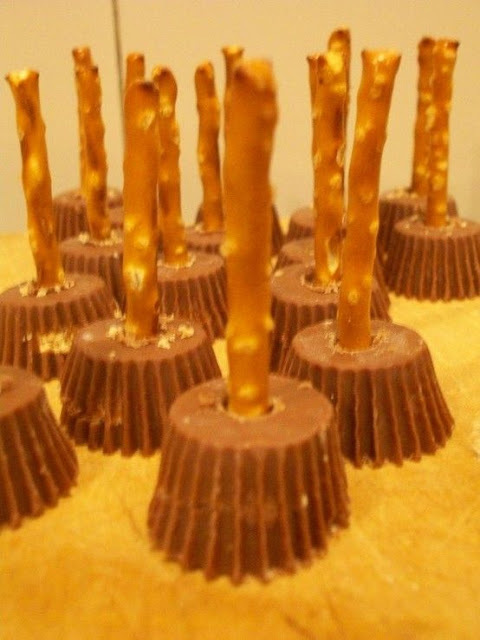 I'll be putting together these very easy-to-create goodies for a costume party this weekend. Witchy hats & brooms?! Perfect for Halloween! 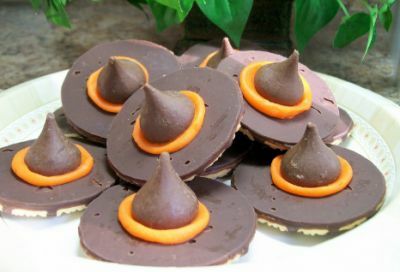 A few simple ingredients combined and your basic cookies and chocolates are easily transformed into a magical treat!